Variations of easy-to-make walnut balls can be found in cuisines around the world. 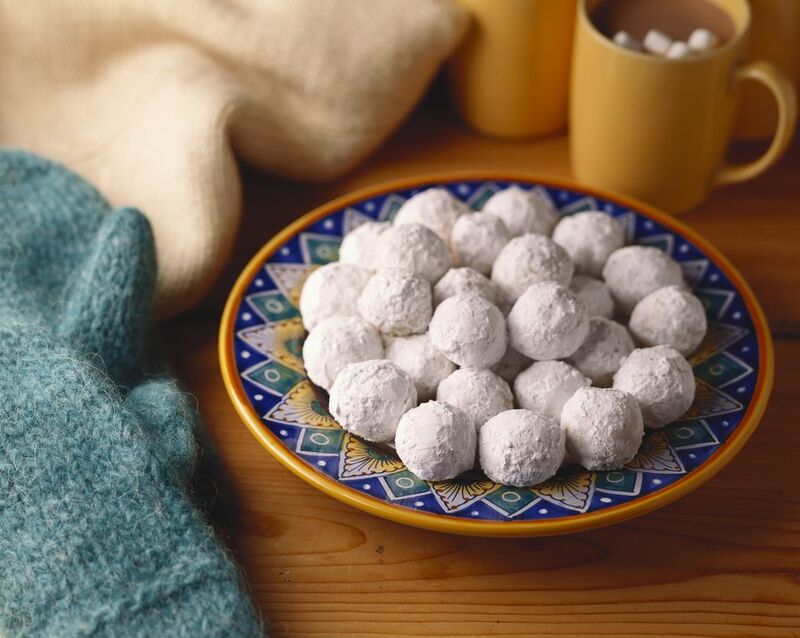 Often a holiday or wedding treat, these brown sugar-sweetened confections go by many names: Russian tea cakes, Mexican wedding cookies, Hungarian nut bites, snowballs, butterballs, nut balls. This classic recipe uses a few tried-and-true ingredients, but if you feel adventurous, you can substitute a different finely chopped nut for the walnuts or vary the flavor with the addition of a teaspoon of cinnamon, cardamom, or ginger powder. You could also dust the balls with sweetened cocoa powder instead of the powdered sugar. With a dry and crumbly texture similar to shortbread, the cookies freeze well for make-ahead convenience. Theoretically, you can store them in an airtight container on the counter for up to a week, but good luck getting them to last that long so you can test it. Cream the butter, sugar, and vanilla in a stand mixer or with an electric hand beater at medium speed until fluffy; the butter should approximately double in size and turn pale yellow. Sift the flour and salt together. Add it in two or three batches to the creamed mixture; mix gently to incorporate it between each addition. Stir in the walnuts. Pinch a walnut-size chunk of dough off, roll it into a ball, and place it on an ungreased cookie sheet. Repeat with the remaining dough, leaving about 1 inch of space between each ball. Bake the cookies at 375 F for 12 to 15 minutes. Transfer the walnut balls from the cookie sheet to a wire rack using ​a spatula. Cool for 10 to 15 minutes. Roll the cooled cookies in sifted confectioners sugar. Let the butter soften at room temperature for at least an hour before you begin baking. It should be malleable but hold its shape. If you forget to take it out of the refrigerator, you can quicken the process by cutting the butter into small chunks or using a rolling pin to flatten it between two pieces of parchment paper. Use the microwave cautiously; if the butter starts to melt, it will negatively affect the texture of your cookies. You can freeze the walnut balls before or after you bake them. In either case, stack them in layers separated with wax paper so they do not stick together. Thaw the cookies in the refrigerator, then bring them to room temperature on the counter. Freshen them with another roll in powdered sugar. To bake them from frozen, just add two or three minutes to the timer.